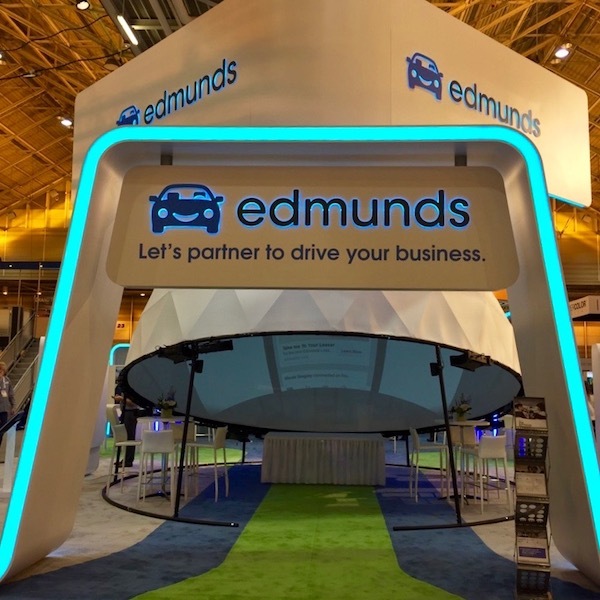 Edmunds used a 6 meter open dome to catch the eye of passers-by at NADA100 in New Orleans. Edmunds showed a selection of existing content and some specially prepared content to show visitors how they help dealers and buyers find the vehicle that is right for them. Amongst the many shiny exhibits of new vehicles at the National Association of Auto Dealers trade show, the dome provided something different and helped set Edmunds apart.